When your credit is pulled for your home loan, credit bureaus could share your personal information! 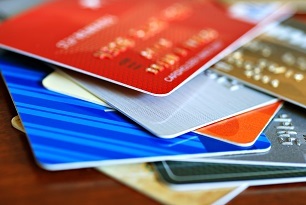 Put an end to unsolicited credit offers. It’s far too easy for identity thieves to steal your mail or your garbage and use a pre-screened credit card offer to obtain credit in your name. Opt-out so this won’t happen to you. Put an end to telemarketing. Once your credit has been pulled, the credit agencies actually sell this information to “trigger lead” companies. As a result, you can find your phone ringing regularly even if you’re on the “Do Not Call” list. Worse still, the companies that resort to purchasing these leads have been known to misrepresent themselves or engage in bait and switch tactics. Put an end to fraud. Trigger leads get re-sold many times over. Shady characters might contact you under the guise of being your lender and try to extract important personal information. NEVER provide SS #, mother’s maiden name, etc., over the phone. Want to do more? Tell your Congressional representatives to stop the credit agencies from selling your information. Assure your security and peace of mind. Fraud and identity theft are not things you want to face at any time. Opting Out is free and only takes a couple of minutes. That’s far less than the time you could spend shredding unwanted mail or dealing with unwanted calls. Go to www.optoutprescreen.com to opt out today. If you believe you may have already been targeted or defrauded, contact the Federal Trade Commission at 1 (877) 382-4357. To join the National Do Not Call Registry, go to www.donotcall.gov or call 1 (888) 382-1222.